Brancott Estate Marlborough Sauvignon Gris is a popular New Zealand White Wine available from Tesco Wine in 75cl to buy online. Visit Tesco Wine for the best price for 75cl of Brancott Estate Marlborough Sauvignon Gris or compare prices on our other New Zealand White Wine products. Aromas of white fleshed nectarine and pear with ruby grapefruit characters. Forty years after planting the first vines at Brancott Vineyard, Brancott Estate is continuing to pioneer new expressions of Marlborough, this time with the release of Brancott Estate Sauvignon Gris. Alluring fresh aromas and a rich textural palate, Sauvignon Gris has been causing quite a stir on the New Zealand wine scene and is extremely easy to match with a wide range of cuisines and dishes. Sourced from a range of Marlborough vineyards, this wine shows ripe notes of white fleshed nectarine and pineapple, with underlying hints of ruby grapefruit and pear leading to a richly textured palate and a lenghty citris finish. Where to buy Brancott Estate Marlborough Sauvignon Gris ? Brancott Estate Marlborough Sauvignon Gris Supermarkets & Stockists. 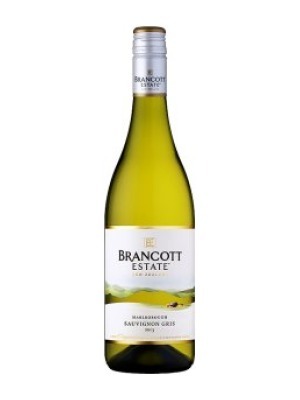 You can buy Brancott Estate Marlborough Sauvignon Gris online in most retailers and find it in the New Zealand White Wine aisle in supermarkets but we found the best deals online for Brancott Estate Marlborough Sauvignon Gris in Tesco Wine, Amazon.co.uk, and others. Compare the current price of Brancott Estate Marlborough Sauvignon Gris in 75cl size in the table of offers below. Simply click on the button to order Brancott Estate Marlborough Sauvignon Gris online now.